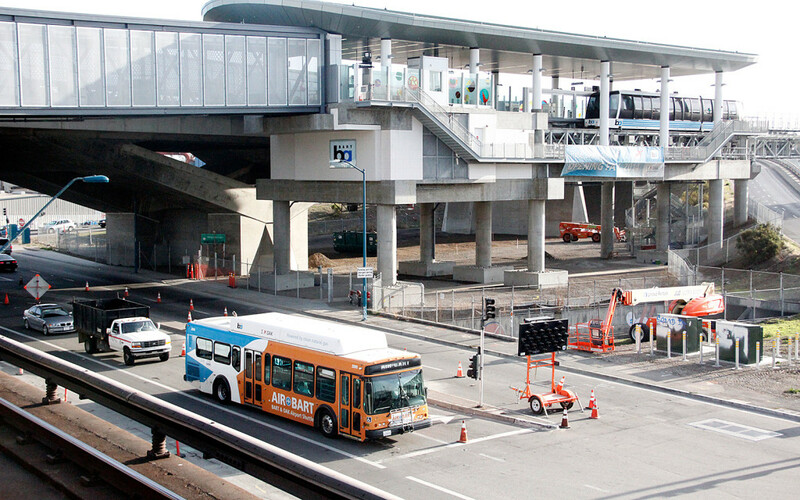 The new $484 million connector line from the Coliseum to Oakland Airport opens Saturday, replacing the AirBART shuttle bus, which has been carrying passengers to the airport since 1986. The Metropolitan Transportation Commission, the board in charge of channeling state transportation money to the Bay Area, voted 6-2 to allocate $20 million in state transportation improvement funds to the project. $70 million in federal stimulus funding denied to the Bay Area Rapid Transit Agency for the Oakland Airport Connecter project will be reallocated for regional rail and bus improvements instead. After three hours of public comment and discussion yesterday, the BART Board of Directors voted 7 to 1 to approve the $492 million Oakland Airport Connector (OAC) elevated rail line. Construction is scheduled begin in mid-2010 and be completed by 2013. Commuters may soon see increased tolls on Bay Area bridges, with carpoolers facing a first-ever toll to cross the bay.